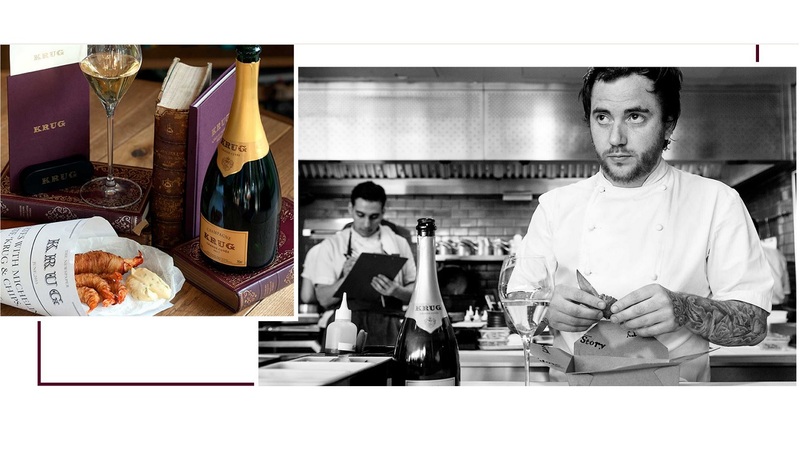 Maison Krug is launching a gourmet chip shop in collaboration with Tom Sellers, Chef Patron of Michelin starred restaurant, Story. 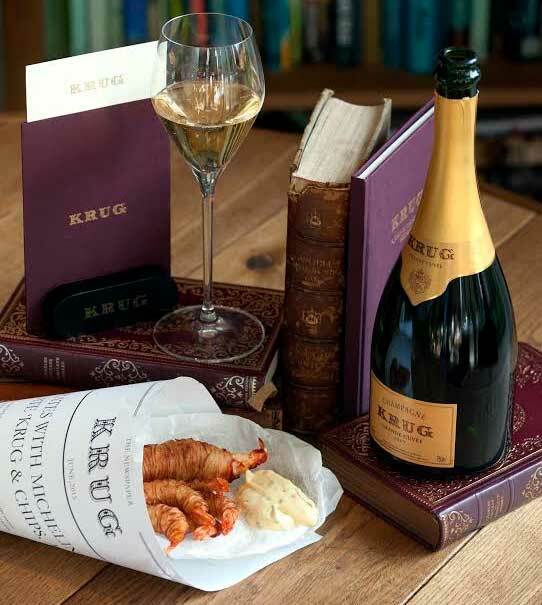 Situated in the East Piazza, Convent Garden in London from July 8-12, Krug & Chips will offer Krug Grande Cuvée paired with gourmet fish and chips masterminded by Tom Sellers. Sellers concept restaurant, Story, received its first Michelin star only 5 months after opening. deep fried until golden, served with homemade tartar sauce. Monkfish, battered and glazed in a curry sauce, served with matchstick fries. Lobster, wrapped in potato ‘spaghetti’, served with spicy yuzu mayonnaise. Guests can book a private pod and experience their pick of Tom’s chip-inspired dishes with the proper selection of Krug Grande Cuvée for 1 person at £35, 2 people at £140 or up to 6 people for £250. 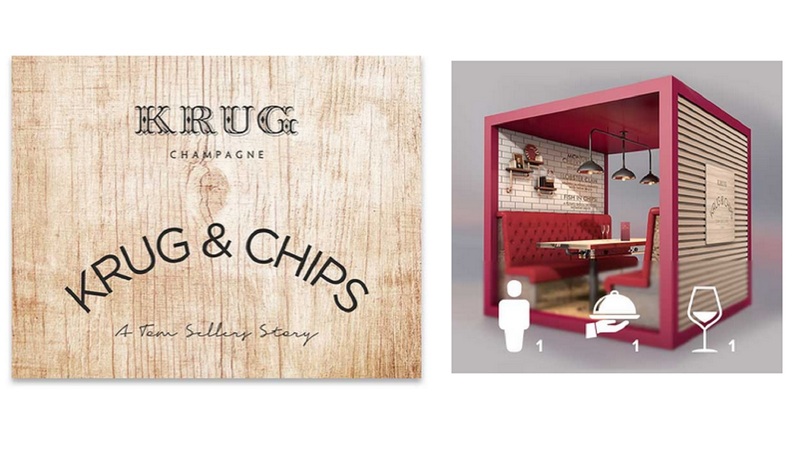 Those who miss out on the private dining pod booking for their Krug and chips can still walk-in to the terrace in front of the pods for dining on a first-come, first-serve basis.